I am exhausted so I am very happy that it is Friday. 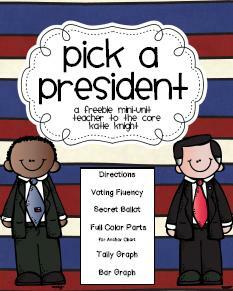 For my freebies today I'm sharing some wonderful election packs. I will be having a class election on Tuesday that I will share next week so I will be using each of these wonderful freebies. I hope you enjoy! Just click on the pictures to download the freebies. Latoya Reed created this great freebie. 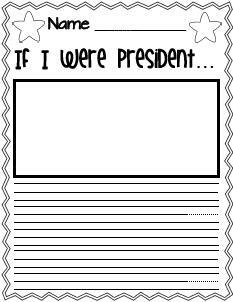 It has a word search, Venn diagram comparing President Obama with Governor Romney, and this If I Were President writing. Love it! 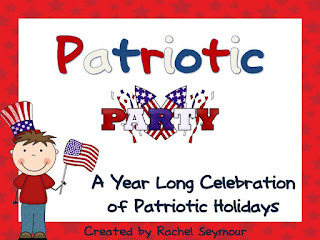 This is NOT a freebie, but it's a Patriotic Holiday Pack I have created that has some Election Day activities along with Veteran's Day, Memorial Day, July 4th, Labor Day, and President's Day with some George Washington and Abraham Lincoln activities. 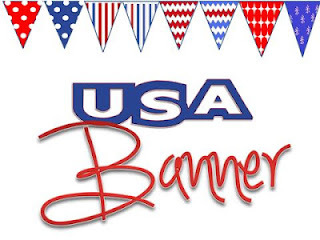 I wanted to share it with you since it's full of Patriotic materials that can be used all year. Click on the picture to purchase it at my store! I love what you've created! Thanks so much for sharing!